I missed it—the first basket my son ever scored in an actual basketball game. And for weeks I have felt like a failure. It would be one thing if I had missed the game for a good reason. You know, I was absent because I was stranded on the side of the highway, trapped in my crushed vehicle which was seething fiery flames while one of my limbs was barely hanging on by thin shreds of sinew and muscle protruding from my body. That kind of good reason. But no, I made the conscious decision to not be there for reasons I’m not even sure of at the moment. And I can’t seem to let it go. I woke again the other night, sobbing giant blubbery tears over the fact that I missed this important first while one paralyzing vain imagination crept into my mind: surely, I have ruined my son and created subconscious turmoil that will rear its ugly head when he reaches adulthood. And there he’ll sit in the therapist’s office, experiencing the inevitable ah-hah moment when he discovers that all of his troubles began back on that fateful day his mother missed his first ever basket in a game. No joke, this is how my brain operates. I would really love to say that this is the old me because this supermom has overcome these debilitating thoughts and come up with a simple 5-step plan on how you can overcome crippling mom guilt thoughts like these, too; but the truth is, it’s not that cut-and-dry simple. 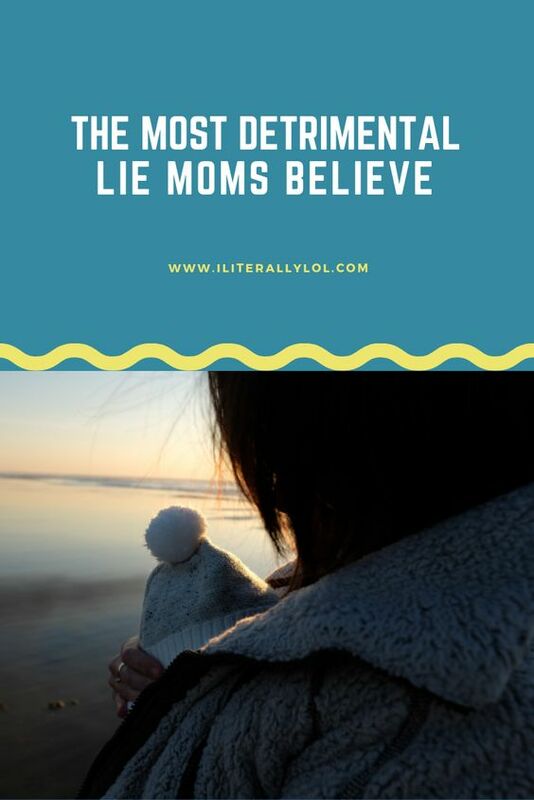 The truth… I am still trudging through murky waters of self-doubt and the lie that “I’m a bad mom.” I mentally pummel myself on the regular. I, I, I. Me, Me, Me. Has anyone picked up on the obsession I apparently have with myself? It’s as if I truly believe it’s all on me to mold my children into God-fearing, hard-working, goal-slaying, dream-chasing, wildly successful adults… as if I’ll have anything to do with it at all. Sure, it is our responsibility to guide our little ones to truth and love, but ultimately, I am not responsible for the end result. I could never replace God and His direction in their hearts and lives. It is absolutely NOT all up to me. 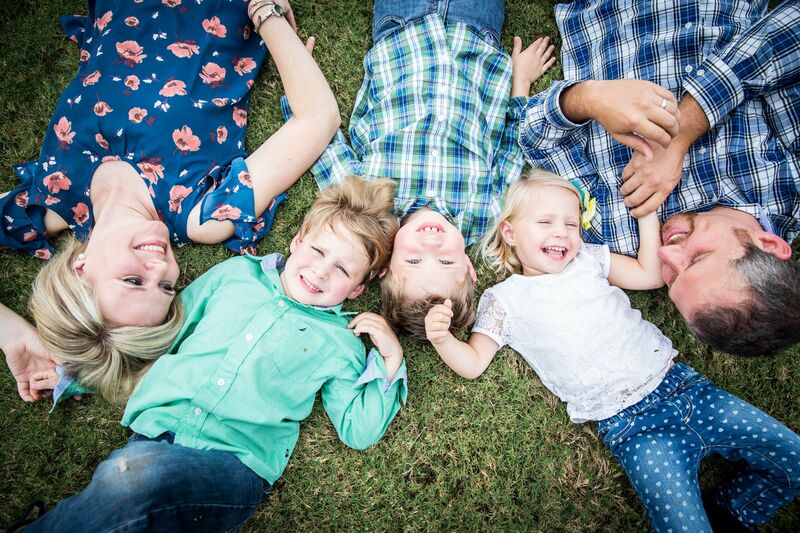 What I am gleaning from the Holy Spirit’s whispers, His Word, and wise counsel from friends who speak truth into my life is that I am only a small piece of the equation in my kids’ lives. If my kids fall flat on their faces, they are gifted with the opportunity to rise again stronger and wiser because of their Father. If they audaciously pursue their dreams and ultimately see them come to fruition, they will only have their heavenly Father to praise. If my children look back on their childhood with thankful hearts for parents who tried their darndest to love and lead well, it will ONLY be because of the Father residing in us and working through us. It’s never truly about us in and of ourselves. We can hustle and slay all the things and never miss a single sports activity or special moment of their lives and still completely miss the mark. Friends, what matters most is not directing our kids to follow their dreams but rather pointing them to the One who holds their dreams. I am an imperfect parent with a perfect heavenly Father as my example. But it should not dishearten me when I see how much my parenting efforts pale in comparison to the flawless parenting skills of my Father. Rather they should inspire me and set my heart at ease with the knowledge that I am not alone in this. I might not always physically be able to be there for them, but I know someone Who will. He resides in them, around them, and through them. Where I fail, He thrives. Where I fall short, he makes up the difference. And where I feel not enough, He is more than enough. The moral of the story— missing that basketball game, well, it doesn’t make me a bad mom. It makes me human. The good news is, it’s not all up to me! And, friend, it’s not all up to you. YOU are a good mom with a great God. And that is all that truly matters. As usual, right on the mark. Good read my dear.